Some of the most innovative complications in modern watchmaking can be traced to the late 1700s. Swiss watchmakers became obsessed with the smallest of details, and with testing the mechanical limits of horological machinery. These imaginative thinkers and fearless clockwork tinkerers created watches with features no one had ever dreamed of. But they also created big, bold shapes to better show off their innovations. 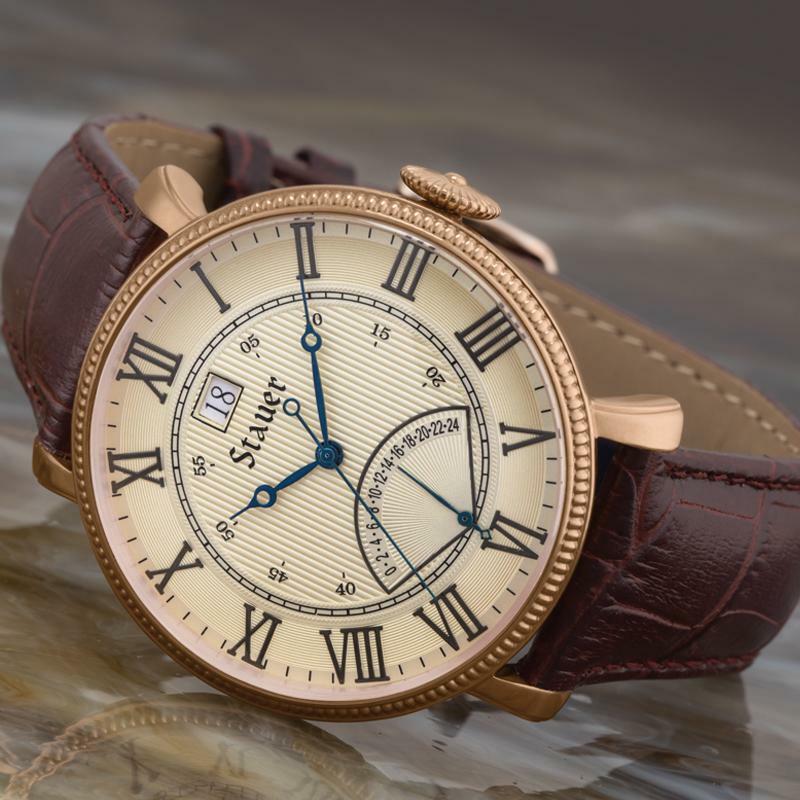 The Stauer Colossus is a sizable classic men’s watch inspired by those clever complications and bold designs. 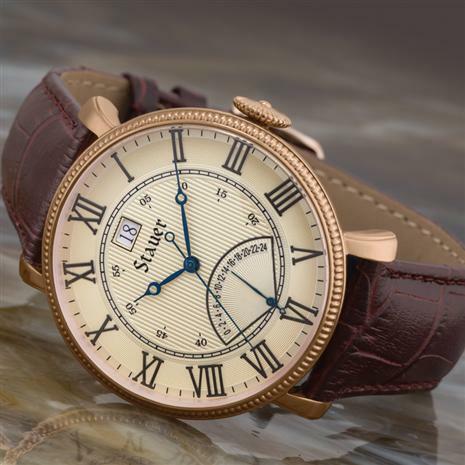 The face proudly features large Roman numerals, with a gratifying large grand date window at 12 o’clock. At 6 o’clock there’s a clever but uncommon 24-hour dual time display. The hand moves left to right to show the hour in military time, snapping back to zero at midnight before restarting its journey. The Colossus comes with a beautiful brown leather strap, made extra sturdy to hold this giant wonder securely on your wrist. But an oversized classic doesn’t have to mean an oversized price tag. Fits wrists 7" to 9"